Bernoulli picked out the perfect spiral to be engraved on his gravestone along with the motto Eadem mutata resurgo (“Changed and yet the same, I rise again”). Hahaha. What he got instead was an Archimedean spiral, which is totally not the same thing at all. Congratulations to everyone at NASA, the Jet Propulsion Laboratory and all the other people who worked on the project and believed in it. (io9) The Big Bang model holds that everything that now comprises the universe was once concentrated in a single point of near-infinite density. Before this singularity exploded and the universe began, there was absolutely nothing – indeed, it’s not clear whether one can even use the term “before” in reference to a pre-Big-Bang cosmos, as time itself may not have existed yet. 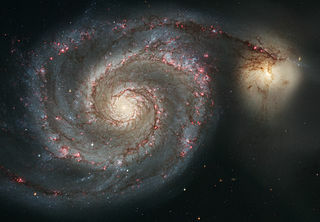 In the current model, the universe began with the Big Bang, underwent cosmic inflation for a fraction of a second, then settled into the much more gradual expansion that is still going on, and likely will end with the universe as an infinitely expanded, featureless cosmos. Sir Roger Penrose, one of the most renowned physicists of the last fifty years, takes issue with this view. He points out that the universe was apparently born in a very low state of entropy, meaning a very high degree of order initially existed, and this is what made the complex matter we see all around us (and are composed of) possible in the first place. I read this and laughed. If Penrose is right (and to my non-physicist self he sounds plausible), then the Big Bang is to the universe what a caterpillar is to a butterfly. Penrose’s entropy might be the egg, or it might be something subsequent to the egg, but we don’t know what preceded the egg, and the caterpillar hasn’t told us, and the egg’s not talking either. And separately, I think I understand why there is way less antimatter detectable than physicists had theorized should exist — it’s there but it exists outside our time so we can’t see it. I saw a diagram once, and I can’t find anything right quickly that looks like it, but it basically described the universe as like a big sheet with dimples and weird stretchiness in spots behind which could be things we don’t even know exist because they are outside our ability to perceive. My theory is that that’s where the antimatter is — outside of our time, behind that sheet — but through physics we have figured out how to pull small amounts of it briefly onto our side of the sheet. The jaw from an ancient flying reptile called A. halli would have contained 54 pointy teeth when the beast was alive some 95 million years ago. Credit: Southern Methodist University. A new species of pterosaur has been identified, Aetodactylus halli, from a jaw bone found in north Texas by Lance Hall, a hobbyist and member of the Dallas Paleontological Society. This species is unusual in that it had teeth. Based on the jaw bone, this particular A. halli had a wingspan of about nine feet. Specimens of other pterosaurs found in Texas had wingspans of 36 to 39 feet. The F-84, the first fighter jet that could carry a tactical atomic weapon, had a wingspan of 36 feet 5 inches. The wingtips of a large pterosaur sitting on my roof would touch the ground on either side of my house. It’s hard to imagine a bird that big. 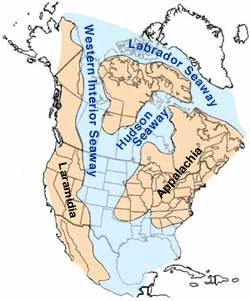 But what amazed me the most was that 95 million years ago the east and west coasts of the United States were divided by the Cretaceous Seaway. NASA‘s Solar Dynamics Observatory, launched in February 2010 from the Kennedy Space Center, is recording images of the sun that are more clear than anything seen before. Thanks to the BBC for the news clip, and thanks to They Gave Us A Republic for bringing it to our attention! 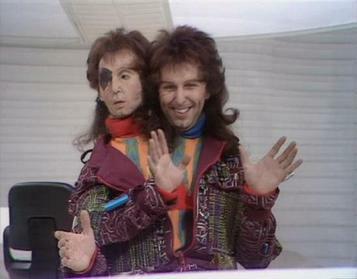 Hyperland is a documentary written by and featuring Douglas Adams from 1990. This next video is a talk that Douglas Adams gave at University of California Santa Barbara shortly before he died.